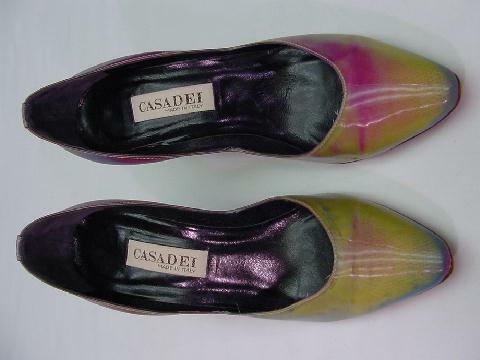 These Casadei iridescent pumps were made in Italy. They're in yellow, orange, turquoise, blue, and magenta. 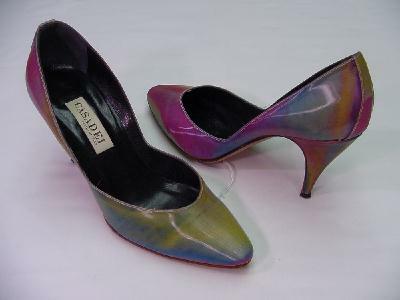 They have a black leather lining and modified rounded toes. 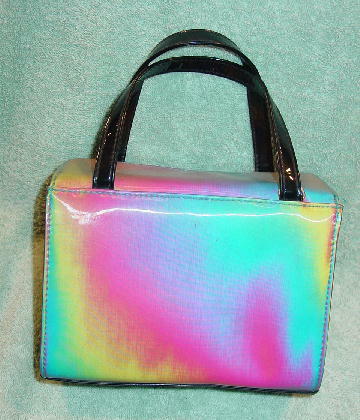 This iridescent Dingbatland Los Angeles purse has a top flip-over flap with a magnetic closure. It's rectangular with two 10 1/2" long black plastic handles and black plastic sides. There are two silver-tone metal loops near the base of the two handles, which you can use to attach a shoulder strap. 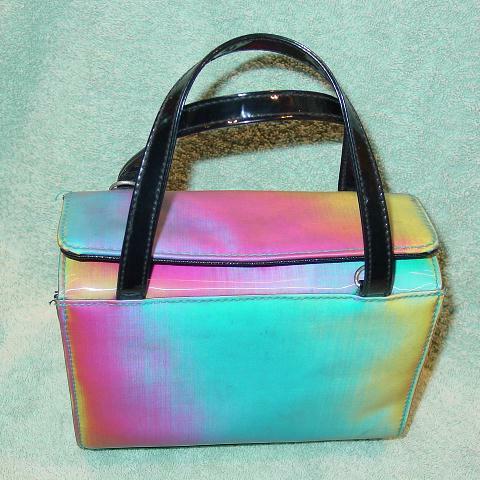 The purse doesn't come with a shoulder strap. It has a black interior. 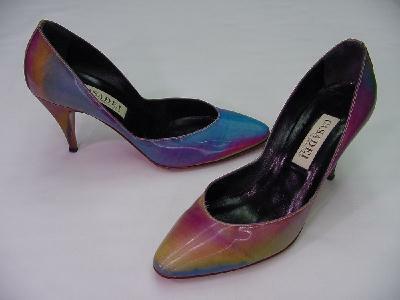 A model wore this purse and shoes to the VH1 Fashion Awards.